Thank you for a wonderful year at Dynamic Smile Design. This has been a year full of smiles—all of them lovely. Thank you for letting me be part of your dental treatment and your lives. I appreciate all you do to keep us running and give me opportunities to keep practicing my trade. I hope you have a safe and happy holiday season full of chances to see loved ones and make memories that will keep you smiling for years to come. 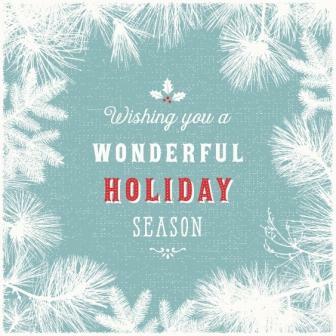 Have a wonderful holiday, and we’ll see you next year!